3D christmas tree made out of hama beads. nice and simple, and looks rather cool. 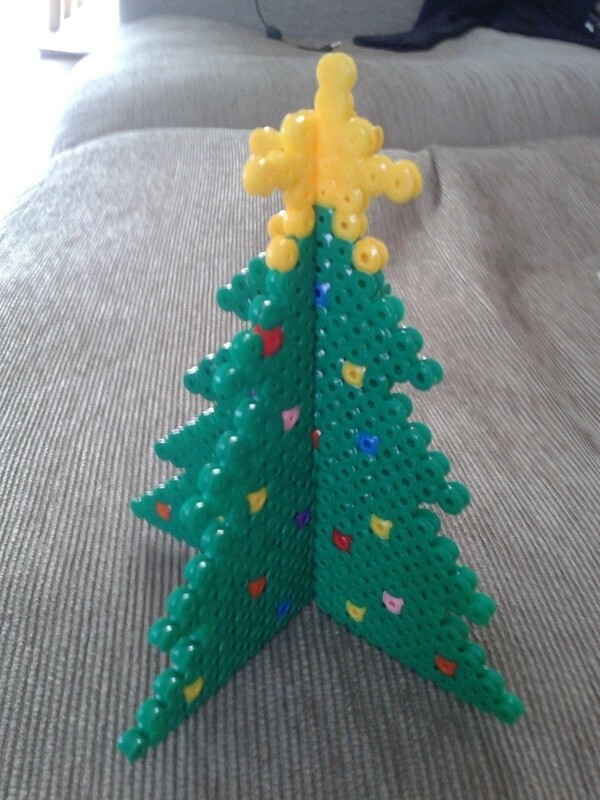 Using the image provided, its simple to make your own version of this cool 3D xmas tree. you need to make each half of the tree with a slit half way through the middle (see image). 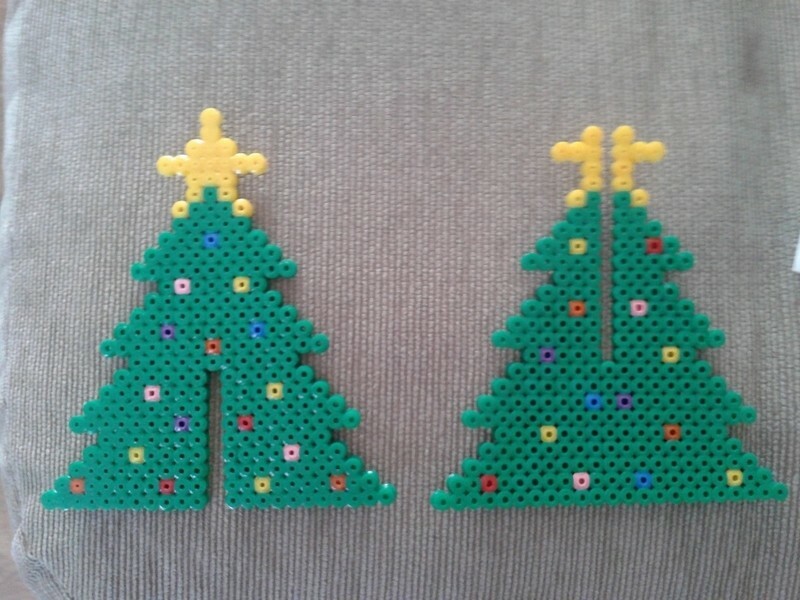 then you can slot them together to make it 3D. 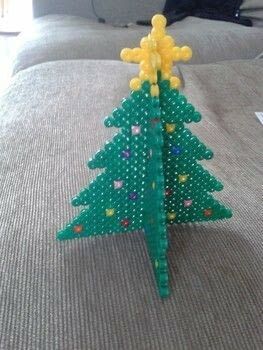 Such an easy and creative idea!